My customers are amazing and I am so thrilled that they take time out of their day to review my products! I got your package yesterday, it was all beautifully packaged and still in perfect shape all the way to California. I had had a really stressful day but after reading all your kit info and then I found and watched your very helpful videos and felted body, head and legs along with them, I had a wonderful day! It was so fun and… cathartic… to make that cute little sheep. I usually spin wool on a drop spindle or wheel. I have a spinal injury though and cannot always sit in the way one needs to for spinning. Now, because of your wonderful kit, instructions, and videos, I can still work with wool and be creative even when my back is out. I am so grateful for all the work you put into your kits and that you ship all the way over here. Thank you so very much! This seller is a fantastic person. She has great items and I only wish I could go to her classes in England!!!! I highly recommend her!!!!! Fast delivery, well packaged. Gorgeous kit and great communication from seller. My mum will love it for Christmas. Very nice little set up, indeed. Everything came as advertised with very clear directions. This was my first time needle felting anything and I thought these kits were a great way to get started. Did it look exactly like the kit? No. Do I care? No. It was cool how she encourages you to not to try to make it look like the kit picture and make it your own. I was really proud of my final product and it looks adorable on my mantle. Next up? The fox! Thank you for my order and for the extras included that was a lovely surprise. This is my second kit and just like the first it’s fab. Im looking forward to seeing what else I can create with Lincolnshire Fenn,thank you,JP. Prompt delivery of quality items, all nicely boxed up. Can’t wait to get started! Perfect :sunglasses: it arrived very quickly. I’m going to make another sheep :sheep: and love the quality of the wool. Sorry other than saying that they arrived promptly I can’t make any other comments as I haven’t opened them yet. This isn’t the first of these kits I’ve purchased, I’ve got the hare , the fox and the sheep. Love them. Quality is good and instructions easy to follow. Customer service is brilliant too. Excellent value and service. Could do with a rust colour too but no complaints. I also bought 2 of the needle felting kits to start me off – they were excellent too. Good instructions and everything you need.Thank you. A new hobby for me. It is a present for my sister and I am sure she will love it!! “I purchased your fox felting kit for a friend’s birthday present. My daughter had given me your Herdwick sheep kit for Christmas so my friend and I had a fabulous day creating our little friends. Fabulous kit easy to follow instructions and really pleased with the finished product. Can’t wait to get started on these projects. I especially love the black faced sheep. Fantastic service, quick delivery. Great advice given to a first time needle felter. The kit is amazing includes everything you need and easy to follow written and picture instructions. Would 100% recommend this kit to a first time felter. I love the two kits I ordered. They have everything I need to complete the kit. I just stated my first, grey kitty, can’t wait to work on it! Attractively packaged, would make an ideal present. Have not started the project yet but looking forward to giving it a go! Just hope it will end up looking like the photo on the box! Brilliant kit very easy to follow instructions. Easy to follow instructions and easy to achieve a lovely finished product. “Great kit, very easy to follow. My first attempt at felting and I couldn’t put it down. I am very pleased with it. Brilliant instructions. Can’t wait to try another now. Thank you for a great kit. “I am delighted with my kits and anxious to begin. I appreciate how they are packaged and the explicit instructions. I look forward to ordering more kits – once I complete these! Thank you it’s lovely, £4 postage ok. I did then want to order some more wool, extra needles again beautiful wool but this time £8 postage which I really thought was excessive. I forgot to order one ball of wool and again would have been £4 postage I ordered it on eBay and it was postage free. Excellent kit and really good quality product, also delivery was really quick. Excellent kit and great instructions! For my first attempt at felting, it does look quite a lot like your photograph! The kits look beautiful. I cannot wait to start working on them. I am happy to see that there are workshops on the website which I am sure will be very helpful. A really lovely kit to get you started. Very clear instructions and plenty of wool to play with. Very informative and beautifully presented felting kits. Excellent service. Great response from Sandy when query made regarding Hare scarf. Order arrived quickly and I have already made the body and head for the hare followed easily by the instructions provided. Would recommend this to anyone who wants to start felting – I can see how it becomes addictive as you start to see the hare come alive as you work which is so rewarding! Bought this kit so my Mum could try needlefelting. It is beautifully presented and easy to follow instructions. Arrived really quickly too. Would definitely recommend it! I received an email to let me know that my order had been received and then the kits arrived very quickly. They are presented beautifully in boxes with very clear instructions (lots of pictures!). I haven’t started them yet but am looking forward to my very first attempt at needle felting! I have not recieved it yet. merci pour les 2 petits animaux a feutrer, que j’ai bien recus. Je les ai realises sans probleme. This rustic robin kit is beautiful. The great easy to follow instructions and photographs for every stage ensure the project is enjoyable throughout. Thank you once again Sandy. I really enjoyed doing my first kit and I very proud of my Herdwick sheep. The quality is very good and it guides you though all the steps very well. I shall be buying more kits from this seller. The kit arrived quickly. Everting I need to make my hare is in there. Very pleased. “Bought mine to replace my old carders. They are very small so if your carding silk /bamboo and wool it will take forever. Thia made a delightful little cat – the instruc and the provided toolstions were good , easy to follow and the provided tools good. Recommended for any keen crafter. I was very pleased with my purchase, it was packaged very well with nice quality wool, the instruction booklet was clear & easy to understand very useful for a beginner like me. Excellent product, excellent value, super-excellent service. You will be my “go to” for future felting needs and I have every confidence to recommend you. 2 Animal Needle Felting Kits for beginners. Very happy with this purchase. Easy to follow instructions. Wonderful service. Thank you! Very pleased with kits, detailed comprehensive instructions. Ordered 7 for a girly crafting night. Great Fun! Really pleased with product, prompt delivery. “This was bought as a Xmas present but have bought one before and was a great gift. Communications between myself and Sandy was excellent. It was my first time felting and found this product very helpful. It provides everything you need to finish your project. The mouse kit was great-really easy to follow with plenty of wool for any little mistakes beginners like myself might make! I love the outlines of the shapes for the various parts as it really guides you to the size you should be aiming at. None of the other felting kits I have used provide that. And my finished product was pretty good so I’m hooked! Thank you so much. “I have just started needle crafting and so bought a few kits from different websites. Lincolnshire Fenn crafts was by far the best. The instructions are easy to follow and with pictures to show what size and shape they should be. There was a brief history of it which was intersting anf my kits turned out to be beautiful-all my frinds are asking me to make them one of the animals. The personal service was also very reassuring and exclellent. I am thinking of buying more as we speak! The wool is beautiful too-soft and easy to work with. Brought as a gift for my sister, who loved the one I had. Brilliant easy to follow instructions, just love theses kits. The owner provided excellent customer service and put in extra effort to accommodate my needs. I have received it within 2 days after placing my order. The wool quality is excellent and the instruction is detailed and easy to follow. I’ll certainly recommend this box to any levels of starters! This little gadget makes using a single needle so much easier. As you said highly addictive. Beautiful and high quality natural yarns. The soft colours provide really subtle effect, Will definitely order again. A birthday gift from my hubby to set me off on a new crafty hobby. 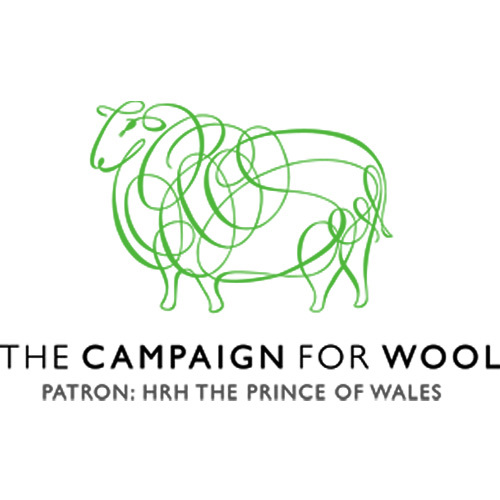 Beautiful, quality wool, concise instructions, well packaged and friendly service. Can’t wait to get started – I’ll let you know how I get on. Full of clear and concise instructions. Quality items included in the package. With fantastic service as, what more can you ask for? I think I’ve found a new addiction. I am absolutely addicted as you can see from the photos included. As with all the kits I have bought from Lincolnshire fen crafts, this is very easy to follow the instructions and contains everything needed. All this adds to the enjoyment of making the lovely kit. Fabulous – I have never done needle felting before. The kits I bought were very easy to follow and a joy to make. A delightful kit, enabling me to easily produce 2 lovely robins. Lovely friendly instructions, that are written like a helpful friend at your elbow, with humour, clarity and photographs that are large enough (unlike some other brands). The only thing I would say is that some little wire legs might be a nice addition to the kit – to stop my first attempt looking like a red/brown seal! Also the robin markings illustrated aren’t true to life; i used a birdbook to take the red right over the face, and added the white rump using material from elsewhere. However, would definitely use your company again. Both kits purchased from you have given excellent results will buy again. Beautiful kit with clear instructions and quality materials. Easy to follow with fab results! Loved it! I’m now completely addicted! Order came quickly actual ordering v simple kits presented beautifully on their boxes instructions clear and all equipment provided. Great kit, everything you need to complete the project, really enjoyed making my first felted animal , make great presents. I love my British Needle Felting Wool Selection. The 125g is plenty for making a small animal and colour and quality is perfect. Since buying a kit I have been using the selection to make my own designs. Haven’t used it as yet but great value for money. But will display when I’ve made them. Bought this on a whim and admit to feeling slightly nervous on opening the beautifully packaged kit and seeing bags of fluff! The instructions are excellent however and after a couple of evenings I had a lovely little hare who has received many compliments. Good product with lovely cute animals. I absolute love these kits – beautiful, quality wool and clear instructions. This was my first attempt at felting and what a great kit it had everything you need. I am very happy with the result he is so cute. I bought this as part of the felt 2 animals kit and gave this one to my daughter. These kits are brilliant and for a first attempt the Fox looks fantastic. The kit arrived very quickly. The instructions were very clear, informative and funny. I’ve started already and it’s going well. I will definitely use Lincolnshire Fencrafts again. Thank you for a new absorbing hobby! I have bought several kits from Lincolnshire Fenn crafts. Beautifully put together and great value! The kit has everything needed and the quality is wonderful. I have made the “Herdwick sheep and it has turned out exactly as depicted!! I will definitely buy from you again. My emailed query was answered very promptly and my order dispatched quickly. I would have no hesitation in recommending Lincolnshire Fenn Crafts. This is the first one I have done and did find it tricky to get the proportions correct but that is probably to do with my skills. Really pleased with my kit very good quality & great instructions, i have now completed my sheep. Will definately be purchasing another kit have put them on my xmas list!! Lovely product, fast delivery and loving supporting a British Cottage Industry. “Brilliant Kit for beginners, clear instructions would definitely recommend it. All my friends loved the finished hare. Excellent kits with easy to follow and clear instructions. This was my first time at needle felting and found these kits where brilliant and very enjoyable to make. Not made these needle felting 3 animals I received as yet so can’t comment on them. Wanted these for a gift. They are beautifully packaged and have detailed instructions etc. Purchased 2 kits, March 2017, as birthday presents for granddaughters aged 11 and 13. They had tried needle felting at a previous craft show. Both have enjoyed making their creatures. The youngest needed a little reminder to be cautious when making and both coped easily with the kits. They are quite used to doing crafting things and are very creative themselves. I can not fully review until I make these guys. This was my first attempt at felting and really enjoyed it. They turned out well and the instructions were relly clear and easy to follow. I look forward to having another go soon. So easy to do for a first timer as the instructions so clear. Fantastic starter kits for anyone wanting to learn how to do neddle felting. Everything you need is in the box, perfecr!! Prompt delivery and clear instructions. The needle felting kits I bought were excellent. Very clear, detailed instructions and plenty of materials provided. Both animals I made turned out successfully and I was very happy with my purchase. Would highly recommend this to anyone, particularly someone who was new to needle felting as these kits are an excellent place to start. I am very pleased with the Dalmatian puppy felting kit and the hare kit. The instructions are very clear and easy to follow and everything is provided in the kit for a beginner to felting like myself. This is my second kit from you. I previously bought the grey hare kit. Both were so easy to follow, with lots of direction, including the helpful templates, and had plenty of wool. They’ve given me the confidence to go on and try making my own creations. If you’re new to needlefelting, I definitely recommend these kits. We are so pleased with the felting kits. The wool is beautiful and the instructions are easy to follow. Excellent kits and clear instructions. I had been given two of these kits as a gift and loved them so much that I bought some for my 30 year old niece. We have all had such fun making each quirky creature. The instructions are clear and well illustrated, in fact the kit contains absolutely everything which a novice might need (apart from Elastoplast!). Purchased as a gift, recipient was delighted. End product was super cute. Excellent , 1 was a present, then other , I loved making . I’d never tried felting before and i was somewhat apprehensive about trying. Hiwever i neednt have been as the kit was perfect. It had everything I needed and great instructions. My first go was a resounding success (for me) and I have improved with each new kit I have tried. It has even inspired me to make some of my own horse projects, thankyou. Will hopefully buy from you again in the near future. I will recommend everyone to shop and support you. “i have bought felting kits and wool from Lincolnshire Fenn Crafts. The kits are lovely with everything you need to start and comprehensive and easy to follow instructions. A great company to do business with, very helpful and friendly. I bought this for a birthday present, the person who got it was over the moon, and apparently has bought more. This was bought as a gift, but the friend who received it really enjoyed her first go at felting & found the kit had everything she needed. Excellent Craft Boxes – great instructions and I had good results. Very pleased with the product, arrived on time. I wanted the robins for a rustic wedding cake topper & they worked perfectly. Will also go on our Christmas tree. Beautiful kits and clear instructions. My friend bought me a Herdwick sheep as a present. Then I have then gone on to purchase the Hare and the Fawn. I found needle felting very enjoyable and it’s unbelievable how you can make a model out of a bit of wool. From using these kits I have now learnt how to clean my own wool from my pet sheep and have begun to make other items. my latest being poppies for the British Legion. I would recommend these kits to anyone who is interested in crafts. Would buy from Lincolshire Fenn again. Wonderful kits have purchased three and all been very good, well packed and despatched quickly. Well packed and with good instructions. Hello,thank you ,very pleased with the service and product. They have been bought for my mom to do who is 84 although she has not done them yet. A fabulous kit with full and clear instructions. The result is wonderful and looks just like the photos on the web page, I can’t wait to do my next one. Loved both kits! Since then, I’ve been creating all sorts of needle felt projects! I’m completed addicted! Easy to use and create personal fuzzy hare! Great for gifts for people who like to craft. A fantastic kit- the instructions were easy to follow and I have loved making my hare- he is fab! The kit is excellent value and the service first class- I would highly recommend the company! This product was really good quality. I havent qquite finished it yet, but my little hare is shaping up nicely. I wouldnt hesitate in using them again. Ideal first project – everything you need. I ordered the Herdwick Sheep kit. The kit was beautifully packaged and the instructions were very comprehensive and clear. For a craft it was quite easy to do and enjoyable. For a first attempt my sheep turned out quite well ! I would recommend this kit. I havent made my hare yet but the kit is excellent and the instructions look clear and concise. Making this encouraged me to go forward and make small animals which have made welcome funds for my local MIND charity shop. Everything was of excellent quality, the wool was lovely. I chose to make the badger and thoroughly enjoyed doing so, the instructions were very easy to follow and were not off putting for a beginner, I have since gone on to make several other creatures with the wool supplied. I highly recommend Lincolnshire Fenn Crafts. Haven’t had time to start one yet, but can’t wait! If I get on ok, I will definitely be ordering more. I bought this as a present. She was delighted with the gift and made a really attractive hare. This is an absolute bargain! Have bought other kits elsewhere which were nowhere near the quality of this and twice the price. Purchased as a christmas gift for my sister. She was really happy with design & quality of product. “Really clear instructions with photos to guide you through the whole process. Lovely kits with lots of photos. Fab instructions and everything you need. Great until you get the confidence to invent your own designs and me ideal gifts. Lovely products with great packaged- one bought for myself and another as a gift. Perfect as a gift but also great for beginners who want to buy to have a go. A great sense of achievement once finished! “Very pleased with this kit, it was easy to follow the instructions and I am pleased with results despite only having been needlefelting for such a short time. I would recommend thee kits to anyone wanting a fun and productive craft. Beautifully packaged with clear instructions, these felted animal kits make a great present. Great gifts, lovely presentation and delivery was fast – first class. Fun process and fabulous results. My nieces (8 and 11) enjoyed making their animals as much as I did. We shall definitely be getting together to make more! Nicely put together kits – everything incuded to get started. Unfortunately they were gifts (gratefully received!) so I can’t really add any more. Will definitely buy one for myself or put on wish list! Really pleased with the kits. When I placed the order I didn’t get a confirmation email which was a little worrying, but they did arrive o. These were presents for my mum, she is really enjoying making them and the quality is great! The instructions are simple for her to follow, which is good as she is still a beginner. My wife loved this and is very happy with the quality and instructions. Delivery was fast and the ordering process was painless. I bought Grey Hare as a Christmas present, but couldn’t bring myself to give him away. Was a bit tentative at first but the instructions were so easy to understand that I must say I’m pretty chuffed with the final result. Did pin cushion my thumb a couple of times but then concentrated properly. Have been checking the web site since for another project but have discovered so many it’s hard to choose, including the chance to buy extra supplies. So imagination is running wild. Starting to have a go at felting. My kits arrived within 3 days and I particularly like the range of colours. a great place to start if you are new to the craft and a great gift for someone who is an old hand. The item was for a gift not myself but your service was excellent. Sandy, thank you so much for your wonderful wools. The natural colours are great and I have made some dogs and robins over the past couple of weeks which have went down really well with my family. I would thoroughly recommend the colours for animals and will definitely order from you again. This set was a Christmas present for my grown up daughter. she is thoroughly enjoying her first needle felting creation. and finding the instructions easy to follow. Excellent product, very helpful seller +++ bought as a Christmas present for my daughter and she loved it!! I purchased the Herdwick sheep kit. It was my first try at needle felting so I was really pleased to find the instructions and photographs sufficiently detailed to overcome my initial apprehension. I enjoyed working with the lovely soft wool and the process of changing it into a new form. The finished sheep looks exactly like to photo on the box. I have leant some basic skills and now feel ready to tackle a more ambitious project. “This selection of wools is beautiful. The wool is good to work with and the colour lovely. The service and friendly advise when needed are not to de found elsewhere. the kits came with all that was needed to complete the animal. I have now made several kits and they turned out really well – just like the photographs. I now have the confidence to start making my own designs. Highly recommended and highly addictive! Product arrived quickly, niIcely packaged. I asked for a ginger cat rather than the grey one advertised and Sandy had sorted that for me with no problems. Would happily buy from her again. I am delighted with my purchases. Have completed the Hereford sheep and the Red Fox now. My granddaughter loved them so I have got the Fawn for her birthday present. Am just trying to make my mind up which one to send for next, I love them all! Brilliant customer service, the kits are for a present so I haven’t started them yet – but looking forward to it! A very efficient service, thank you. Bought two, one as a gift but have not got round to making mine yet. Kits come in a very attractive box. I am amazed at how well they turned out! I will definitely be doing more needle felting. Had loads of fun creating the animals. Loved the fox with his whiskers. This was my first needle felting project and I did not find the instructions as clear as I had hoped and there were a couple of bits where the sequence of written instructions did not match the photos. The outline pictures were also a little misleading. I ended up just using the photo of finished project for inspiration. I learnt a lot through this so think that my second project will be a lot easier. Thoroughly enjoyed seeing how a fluff of wool can turn into a cute animal. Felting sheep and hare look like being great gifts for crafty people. Items arrived very quickly by international post. They were a present so can only say that the contents looked excellent. “Very nice craft item ,just right for a Christmas gift. Great product from a great company. We should support more every day this small independent, handmade business. Can’t be happier about my purchase. Very prompt delivery, well packaged. I’m very pleased with my purchases, one for me and one for my friend. It will be an English Robin in the USA. She will be thrilled with it. Great kit and plenty of wool left to practice on. Was delighted with the prompt and personal service, kits and professional, instructions and website very clear. Thank you for my new exciting projects! Now all we have to do is find some time to do some felting! I got the fix last year and found it so therapeutic that I have started buying them for all my friends birthdays. I underestimated the cathartic benefits of repeatedly stabbing something, and at the end you have a gorgeous quirky animal. Excellent service and excellent looking products. I highly recommend your kits! Great quality, easy to follow instructions, Whether a beginner with needle felting or a dab hand you get fantastic results which are unique to you. “I received my items extremely quick. I have bought them as gifts so haven’t had a go at making them but I’m so excited to see them! Beautiful needlefelting kit and excellent customer service. I bought this kit as a gift for someone who enjoys crafts but hasn’t tried felting. It arrived quickly and makes a great gift. I am thrilled with my purchases from Lincolnshire Fenn Crafts. The kits are lovely and I hope to be able to do them justice. I’ve really enjoyed making my needle felted sheep and the result is very cute! Excellent service and customer care. I bought the fox kit as a present, I had the hare kit at Christmas and was very pleased with it. Clear helpful instructions and a lovely finished hare. Kits arrived promptly and were suitably packaged. Having completed a kit previously I am looking forward to getting started on another. Was very happy with the quality of materials and the instructions were clear and easy to follow. Easy to follow instructions for beginners and ample wool. I really enjoyed making my first felted sheep . Thank you, the kits arrived promptly. Not opened them yet so can’t comment on the contents but kits come in a sturdy box with photo on front. Would be good as gifts. Good quality kit, fast delivery. I found the sheep very easy once I got the hang of it. I would buy from this source again. Brilliant service and superb products. Kits excellent contain everything needed and the instructions are clear and detailed. I needed a little advice which I requested by email and received a helpful reply within hours. Excellent kits, bought two for myself but would make lovely gifts . Love the packaging , instructions are clear and easy to follow. I would highly recommend these kits . 5* product and service . Excellent products, the best I have found, and very speedy delivery too. Telling all my crafty friends. “I bought 2 more kits recently. I love the fact the instructions have colour illustrations that show you exactly what to do and when, the size guide is great and gives you confidence. The kits are very well packed and make an ideal present (although I’ve never managed to part with them!). If you are considering buying one of these kits you will NOT be disappointed, I would however recommend buying 2 as 1 is never going to be enough 🙂 as they are so easy to follow you will want to start another straight away! Thank you so much Sandy for your amazing kits and I feel so lucky to have found Lincolnshire Fenn Crafts. I bought the Grey Hare kit as a birthday present for my grown up daughter who has never done felting before but who does have an obsession with hares. She was absolutely delighted and can’t wait to start. The kit came virtually the next day after ordering it, and has everything you need in it together with detailed illustrated instructions that anyone could follow, along with email support should you need it. I thought the price was very reasonable too, considering the cost of all the components if they were to be bought separately. It’s so good that I’m going to try it myself as well! I highly recommend this kit for anyone starting out in needlefelting as it would be a great confidence booster for a first effort, and I’m quite sure it could become addictive. Wonderful service, the kits couldn’t be better. So comprehensive, everything needed is supplied. Plus the follow up help was more than I could have hoped for. This is the second kit I’ve bought, and each one as a gift. The delivery service was excellent, with email updates on each step. The items were attractively packaged. The first kit, the Herdwick sheep, was very well organised with easy to follow instructions which produced a very good result. My second friend has only just received her Grey Hare, but I fully expect a similar response. I can wholeheartedly recommend these kits. Lovely kits,I bought them as gifts but I have been given them myself in the past. Good instructions and a sense of satisfaction when completed. A perfect purchase from a perfect business! Always on hand to help if you get stuck, Sandy is top of her class. :0) I can promise, you won’t regret any purchases made from here. I’m very excited to try the two projects I bought. Even though I’ve done needlefelting before, I can see from the instructions that I am going to lead some new techniques in animal building. Good quality kit very clear instructions. Fantastic kit bought for my daughter – she is still working on him but is having a great time doing it and finding the instructions very easy to work through. Will be back for more in the future I’m sure. Completed one really enjoyed making it . Ordered and received two kits a badger and bunny. The kits are outstanding with excellent instructions, supplies and well packaged. Highly recommend for anyone who does or wants to try needle felting. I bought two kits and made a lovely Herdwick sheep and a brown hare. This was all new and I found the instructions were very clear and the wool lovely to work with. The support from Sandy is wonderful. Lovely kit although not made it yet. Quick delivery and packaged well. “I love this little Herdwick sheep felt needle sculpture, especially that it is beautifully hand crafted in England. The communication and the friendly and efficient customer service made the whole purchasing process a pleasure. The needle felting wool was beautiful and easy to work and the hare instructions were fantastic and easy to follow. Humphrey the hare is now a household pet! Excellent kit for the beginner – has everything you need and easy to follow instructions – perfect introduction to the craft of felting for oneself or as a gift for a fellow crafter. “The felt kits are very good value with everything you need to complete the project. sheep and I really happy with the result. Great instructions, arrived quickly, also good to know can get help via email. My two felting kits are great. It’s so useful to have good clear instructions included as I am a beginner. Easy to manipulate and a great price to!! The wool is a lovely quality and the colours are gorgeous!!!!! Absolutely delighted with both kits. Had bought the Grey Hare before these two, when that was completed, I needed more!! I have now completed the badger and have the fawn waiting to be born! For a beginner these are ideal, as the instructions are really easy to follow, with tips as well. Even if your an expert I should imagine you would find enjoyment and be able to give them a character of their own. Very well priced and plenty of roving supplied to complete project. Glad I found you – Jean Dudley. PS: I’ve got my sister hooked also!! The fastest e-mail replies I’ve EVER received and these were in the evening – amazing. Yet to try the kits – I’m a bit scared! Easy to follow instructions in the kits,I am getting there with my grey hare. Will send photo when finished. “I was very pleased with my purchase. The only negative I have is that a little more wool was needed. I found that I barely had enough of the brown wool. I am new to needle felting but this kit contains everything you need and the very clear instructions. Bought for a present and very pleased with service and product and more importantly my friend was delighted with her Herdwick Sheep kit. I bought this for my mother in law, I had a sneaky peak at it and it looks like a lot of fun to make. comes in a lovely box and looks a really great product. I would definitely buy from here again, fast delivery great customer service too. The kit was well packaged and looked comprehensive on inspection. I have actually bought the kit as a gift but I am happy with my purchase. Fox needle felting kit was bought as a present which was greatly received, wish I bought one for myself too! Very well packaged and presented. Mother’s Day gift for my wife which she loved. Already finished and is looking to buy her next pack. Bought as a gift for a friend who wanted to try out needle felting. They love it, despite a couple of pricked fingers! Good quality, clear instructions and great service, received well packaged and arrived when it was due. Excellent kit and speedy delivery. Kit well presented in a box with very detailed instructions. “Have only just started to make my fox but it is amazing. Great fun and quite easy when you get the hang of it. Haven’t started this one yet but as always delivery prompt and kit looks fantastic- just need to make it !! I bought this kit as a gift for a friend in the US. She loves sheep and was delighted by this one. The kit arrived promptly through the post, and I was kept fully informed of its whereabouts. A friendly, helpful, and efficent service! Ordered these two felting kits for my mum for Mothers day . She will be absolutely thrilled with them. They arrived very promptly and whats even better is I am very happy to be supporting a business that in my home county. I recently bought this kit to try out a new craft skill. The kit was excellent, everything you needed to create the model. The instructions which came with the kit were very comprehensive, very well written and illustrated and so helpful. I have since purchased another kit but made up of different coloured wools so that I could make a ginger cat. Sandy is so helpful and will answer any questions that you might need to ask in the process of felting your kit. bought for a birthday present for a friend who wanted to try needle felting. she was very impressed with the clear instructions and the presentation of the product. I was very impressed with the quick service and price. I absolutely love the Grey Hare Felting Kit. It contains everything needed to make the animal and the instructions with images and templates are excellent. Also the box is really handy for keeping everything together while you are working on it. The kits would make a fantastic gift to anyone with a craft interest as everything is explained so well. The order was also despatched really quickly. Overall a great product and service! Bought a kit before and I really enjoyed doing it and these are just as brilliant, thank you! I loved my felting kit; it was perfect. The illustrations and encouraging directions were great. My felted badger came out adorable!! I would definitely buy other kits from you!!! “We bought a Herdwick sheep needle felting kit for my daughters 15th Birthday. It arrived very promptly in a lovely box. Inside the instructions are well written and easy to follow. The wools, cottons etc are all well packaged. Instructions very comprehensive step by step, giving you the confidence to start. Can’t wait to get started with it. Being a beginner, it has great in depth instructions which is a big help! Will be buying again from you. I was so pleased with my purchase of the felted hate kit, arrived very fast and easy and very informative instructions.Loved making him a Nd now more than addicted to felting. Thank you Sandy for all the support you offer too. Lovely kit instructions explains how to do the felting kit will buy another thank you also arrived promptly. Would use this seller again without a doubt. Good kit it contains everything you need to make the mouse (felting pad, needles, roving and even a small travel sewing kit) The instructions are also very good. I had another felting kit given to me for Christmas but it was not as good as this one! I have made the mouse and he came out pretty good ! “Posted to Australia without any problems, clear easy to read address form. Good communications and parcel arrived as stated. Excellent service, item ordered,as,a Xmas gift. Friend is over the moon with it. “Thank you for getting me into felting! I’m hooked. Started with the Red Fox and have now got the Herdwick Sheep and Badger to do! Nothing else will get done! Great service and really easy to follow instructions. “My wife loves the kits I bought her for Christmas. You sent two hares (different colours) though I thought I’d ordered a hare and a mouse. Can I swap one, please? It’s unopened. Very impressed with the look and contents of this product. The purchase is a gift and indeed it looks ‘the business’. Even though I ordered over the very busy Christmas period the kit arrived quickly. Will be buying again very soon. Thankyou for a lovely product. Hi sandy I was extremly pleased with my products and your service, everything arrived promptly and well packaged and I have enjoy making the needle felting animals and have made my own creations since, your right it is addictive. The kit was exactly what I wanted for my Daughter in law who is just starting to learn how to do felting . My girlfriend had loads of fun making the fox. She is now addicted to needle felting and is sure to purchase more. I absolutely love the fox kit I bought. I shall be asking for another for mothers day and my birthday and next Christmas. The stress relief alone was worth it, and my adorable fox that everyone has admired at the end of it was a bonus. This is an absolute must for all crafty types like myself, who want to try something a little bit different. My daughter was delighted with the kit and has enjoyed felting the baby fawn. Excellent packaging with everything you need and really detailed instructions. I bought two kits as gifts for friends. The service was excellent and these kits are beautifully packaged which makes them great to give as presents. There is a quality to them. I’m hoping someone will get me one now! I bought this as a gift for my very crafty sister-in-law. We have bought before and have been very pleased with the kits. I purchased the dalmation puppy kit for a Xmas gift so not started yet but I think your kits are great value, best quality materials with clear easy to follow instructions. Great communication, lovely packaging, item arrived really quickly, giving as gift and quality looks excellent. Very nice business to deal with, give them a try you won’t be disappointed. Prompt delivery; Clear instructions; good quality product. Great kit and thank you for the quick delivery. This was my first ever needle felting project. The instructions were excellent, and I am so pleased with the finished result. Dealing with the Sandy was a pleasure. Questions were answered swiftly and pleasantly. Will definitely be ordering some more. I am new to needle felting and found this kit had everything I needed to get going, the instructions were clear and with photographs. I now have a very handsome grey hare! Thank you! “I have purchased a total of three items the first being the Fox kit for myself it was so nice I decided to buy two loop eared rabbit kits for Christmas presents. This was my first attempt at needle needle felting I asked Sandy for some advice. The advice and service she gave me was excellent I could have not asked for anything better. Featured on the Chanel 4 series, ‘Craft It Yourself’. Well worth a watch if you can as it covers all manner of crafts presented in a modern setting bringing crafts bang up to date. I was awarded this coveted trophy in 2014 for best content and craft display out of approx 300 exhibitors. 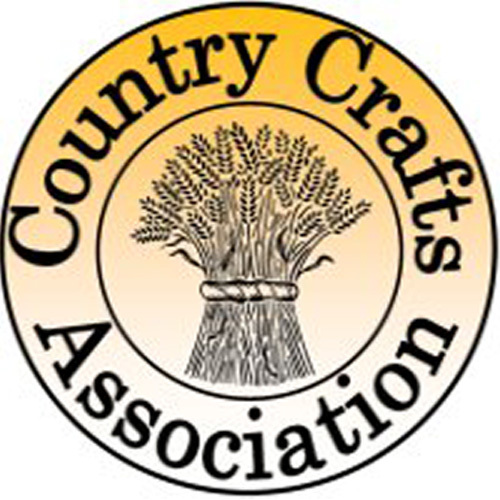 Following strict assessment I became a member of the Country Craft Association where myself and other like minded crafters, artisans and artists take part in country wide craft fairs, shows and workshops.